At Roger Williams Park Zoo, we are here to help make your visit as enjoyable as possible. Here’s an A to Z guide to the amenities and services available to you. Enjoy your visit! Four ATM’s are available at: Admissions Plaza,The River Camp Sweet Shop in Fabric of Africa, Discover the Wild Gift Shop, and inside Wilderness Cafe. Baby changing facilities are located in most restrooms throughout the Zoo, additionally there is a baby changing and nursing room with rocking chair at the rear of the Serengeti Market Café. Please refer to the zoo map for locations. A mobile charging station, sponsored by Aim High Academy, is situated in the Zoo's Sophie Dansforth building, located across from the Alex and Ani Farmyard. Please refer to the zoo map for locations. Our Zoo birthday party packages are a great way to celebrate that special day. The Zoo also has facilities available for rent for everything from corporate meetings to private celebrations, outings and more – you can even rent the entire Zoo! The Zoo offers a wide variety of education programs for everyone from preschoolers to adult, including ZooCamp, animal-inspired art classes, environmental clubs, programs for parents to enjoy together with their preschoolers, special experiences for the whole family to enjoy together as well as overnight experiences for families and cub and girl scouts. First Aid is located in the Sophie Danforth building across from the Alex and Ani Farmyard exhibit; please refer to the zoo map for the exact location. There are three gift shops at Roger Williams Park Zoo. Discover the Wild is open year-round. The Crossroads gift shop, Masai Market and mobile gift carts are spring and summer. Please see our Concessions page for more information and our zoo map for locations. The World of Adaptations and the Zoo's new Faces of the Rainforest exhibit all have indoor areas, as well as the greenhouse next to Hasbro's Our Big Backyard. There are also indoor restaurants and gift shops, and small sheltered areas throughout the Zoo. Should your child become lost during your visit, remain calm and notify any Zoo staff member (as identified by a staff t-shirt or uniform). The staff member will notify Zoo security personnel who will put into action an organized and thorough search until you are reunited with your child. Adult guests who have become separated from their party may be paged over the Zoo’s intercom system only in the case of an emergency. Items returned to the Lost and Found are kept at the Admissions office, located at the zoo’s front entrance. You may email VisitorServices@rwpzoo.org or call (401) 785-3510 ext. 690 to find out if an item has been turned in. Due to limited storage, items are only kept for a maximum of 10 days and Lost and Found is automatically emptied at the end of each month. Items claimed (but never picked up) are also subject to these policies. All guests are asked to take care of personal belongings and for this reason, Roger Williams Park Zoo cannot take responsibility for the care, storage, condition or availability of any lost and/or found articles on zoo grounds. The Zoo will allow service animals for all disabilities on grounds as outlined by the ADA standards. Click here for more info. ATTENTION ZOO GUESTS: Please do NOT leave your pet locked in your vehicle. Due to safety and health concerns the Zoo WILL ask you to return to your vehicle and care for your pet. If necessary, we will call Animal Control. The Zoo cares about all animals, and we strongly urge that you find proper accommodation for your pet while you visit the Zoo. Thank you. Roger Williams Park Zoo does allow guests to bring their own food into the Zoo. Do Not feed your food to the animals! Also, please note that the Zoo does not have any storage facilities/lockers, so lunches and other materials must be carried with you. Picnic tables are available on a first-come, first-served basis. The Wilderness Café is open year-round. Seasonally, Serengeti Market Café and the River Camp Sweet Shop are also available, as well as mobile carts located throughout the Zoo. Please see our Concessions page for more information and refer to the zoo map for restaurant locations. Restrooms are located throughout the Zoo. Please refer to the zoo map for locations. Roger Williams Park Zoo is situated within the larger Roger Williams Park, hailed as the “Jewel of Providence.” The Zoo and the Park, along with its other attractions, operate independently from each other. You can find out more about what the Park has to offer at the City of Providence website. Roger Williams Park Zoo offers many accomodations for visitors with cognitive disabilities to help guests fully enjoy their Zoo experience. 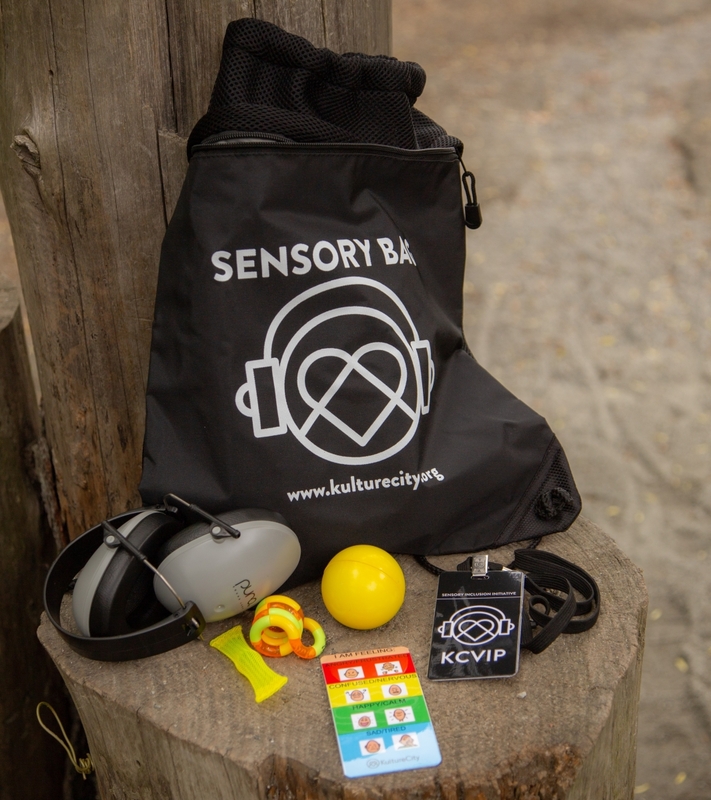 The Zoo has recently partnered with Kulture City to allow guests with autism and other sensory-processing disorders get better resources and support as they experience all the zoo has to offer. If you have any questions about other accommodations you may need for your visit, please contact our admissions department at 401-941-4998. To avoid the possibility of waiting in line at the Zoo's front entrance, we recommend obtaining your tickets in advance. Tickets —including Memberships —can be purchased online or by calling (407) 785-3510. Wheelchairs and strollers are available at the rental kiosk located at the main entrance. One and two seat strollers are available on a first-come, first-served basis for $5 (single stroller) and $7 (double stroller). Manual wheelchairs are available on a first-come, first-served basis for $5. An EZ Cart automated wheelchair is also available for rental by reservation. Please contact the Admissions Department at (401) 785-3510 x316 at least 48 hours in advance of your visit to reserve the EZ Cart. The rental fee is $25.The Zoo covers 40 acres, and the path through Zoo grounds is a bit over one mile long. The average length of stay is three hours. Should you require a wheelchair to enjoy the Zoo, they are available at the rental kiosk located at the main entrance on a first-come, first-served basis. Quiet zones are designated areas where guests can sit and regroup away from bustling crowds or stimulants. 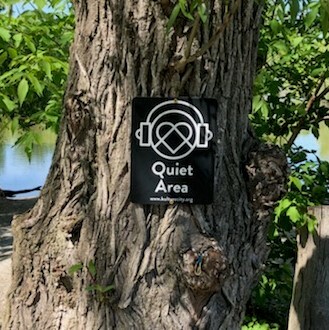 Quiet zones are located at the entrance of the Wetlands Trail (across from the Muntjac exhibit; along the Marco Polo Trail Trek (steps away from the moon bear exhibit); and indoors at the EMT room of the Sophie Danforth Administrative Building (across from the Alex & Ani Farmyard). Sensory bags are available and lended to visitors free of charge - simply ask front gate admissions staff when you arrive. Each bag is filled with fidget toys, emotional cue cards, noise-cancelling headphones and other useful toys. These bags are available at both Roger Williams Park Zoo and Carousel Village. Exclusive sensory-friendly days are made available to give those with sensory-processing disorders a quieter, less crowded experience. Be sure to check out the Rise and Play Mornings at Roger Williams Park Zoo and the monthly Sensory-Friendly Days at Carousel Village. During these features, common stimulants will be reduced by turning off music, dimming lights, and having capped admission. For the health of all our visitors and the animals, smoking is prohibited throughout Zoo grounds. The use of electric cigarettes is prohibited. One- and two-seat strollers are available for rent at the rental kiosk, located at the main entrance, on a first-come, first-served basis. The Zoo covers 40 acres, and the path through the Zoo is a little more than one-mile long. The average length of stay is three hours. Wheelchairs are available at the rental kiosk located at the main entrance. Manual wheelchairs are available on a first-come, first-served basis for $5. An EZ Cart automated wheelchair is also available for rental by reservation. Please contact the Admissions Department at (401) 785-3510 x316 at least 48 hours in advance of your visit to reserve the EZ Cart. The rental fee is $25. Please note: Unfortunately, due to the set-up of the enclosure the Zoo's harbor seal encounter is not wheelchair accessible. THANK YOU FOR VISITING the Roger Williams Park Zoo, an exciting place to visit, learn and explore. Please take a moment to review our visitor conduct rules which are designed to ensure the safety and comfort of all visitors and animals, as well as to enhance the visitor experience. For the safety of both humans and animals, please remember no visitor shall go over, under, between or otherwise cross any guardrail, fence, moat, wall or other safety barrier. It is unsafe to sit on, stand on or hold children over such barriers. Please do not try to touch the animals (except if explicitly allowed, such as in the contact yard area). Please help with our conservation efforts by disposing of your plastic, glass and aluminum in the appropriate recycling receptacles. Please do not throw or toss rocks, trash or other articles into exhibit areas. Animals may eat the indigestible articles causing them harm or death. While we encourage lively and excited voices when observing all our exhibits, we ask that you are respectful of the other guests. Shouting and loud use of electronic devices disturbs everyone - humans and animals. Guests must be appropriately attired. Shirts and appropriate footwear are required (except in the Hasbro's Our Big Backyard water area). Guests should refrain from wearing clothing with rude, vulgar or offensive language or graphics. Skating, skateboarding, scooters, bicycles, Segways or rollerblading are not permitted. Service animals are permitted on grounds. Pets, grills, chairs, coolers, musical instruments, balloons, and glass are not permitted on the property. We encourage everyone to have fun and enjoy time at the Zoo. We do remind all our guests that disruptive behavior is prohibited, including but not limited to: use of obscene or insulting language/gestures, running, yelling, fighting, overly boisterous behavior, throwing objects, ball playing, unauthorized loud singing or dancing that disrupts other guests, blocking access/movement and performing. Soliciting, panhandling, inciting crowds, picketing or rallying, conducting of surveys, distributing literature, offering any items for sale, littering, soliciting signatures or personal information of any kind (including names, phone numbers, etc.) is not permitted. All professional photography or video must be pre-approved by the Marketing Office. Fun photos with family and friends are encouraged, but be respectful of others when taking selfies, posting online or lining the family up for a great shot. No amplified sound devices, megaphones, microphones, radios, horns or whistles are permitted on property. Please use electronic devices in a non-disruptive manner. Stay on visitor pathways. Do not pick plants or climb trees. Threatening, following, harassing or unwanted touching of other guests, volunteers or employees is strictly prohibited. Please do not tease or feed the animals. For their health, they are on specially enriched diets prescribed by a professional veterinarian. Most importantly learn about our incredible animals and HAVE FUN! We hope you enjoy your time with us! For questions or concerns about these rules, please contact us at info@rwpzoo.org.